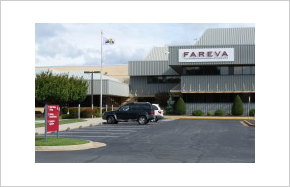 Fareva, a French company that makes products for other companies, now adds Henrico to its global roster of manufacturing facilities. After Pfizer announced it would close its consumer products manufacturing plant in the eastern part of Henrico County, Fareva stepped in. The facility is now back in full production and continues to produce every Chapstick sold around the world, plus other products like Advil and Robitussin. This news – thanks in part to the hard work of the Virginia Economic Development Partnership – saved the county 500 local high-paying jobs. In addition, Fareva announced that it will invest about $40 million in the plant and create 90 additional jobs over a few years. It continues to make Pfizer's products at the Henrico plant and this fall will start making cosmetics for a yet-to-be-named company using new technology. Check out the video about this recent announcement.